May was all about the garden. 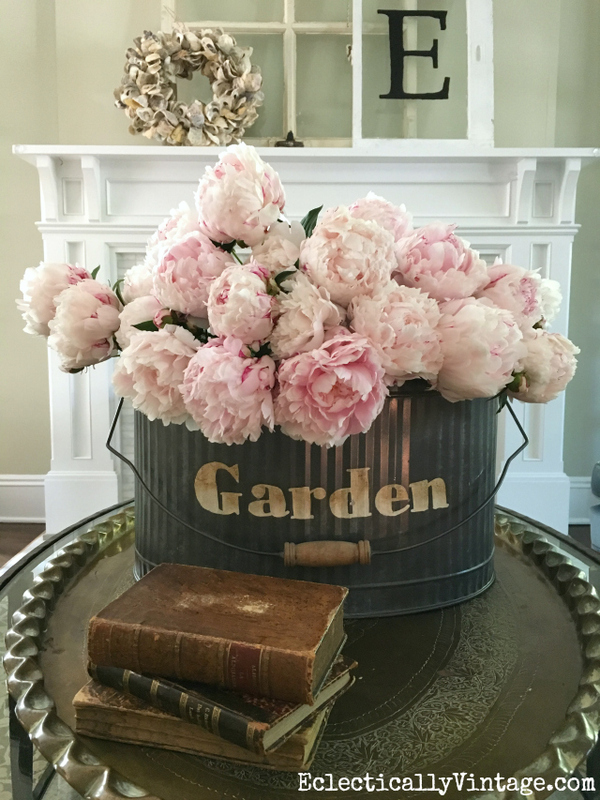 If you’ve dreamed of growing these beauties, read my tips on planting peonies so they bloom. 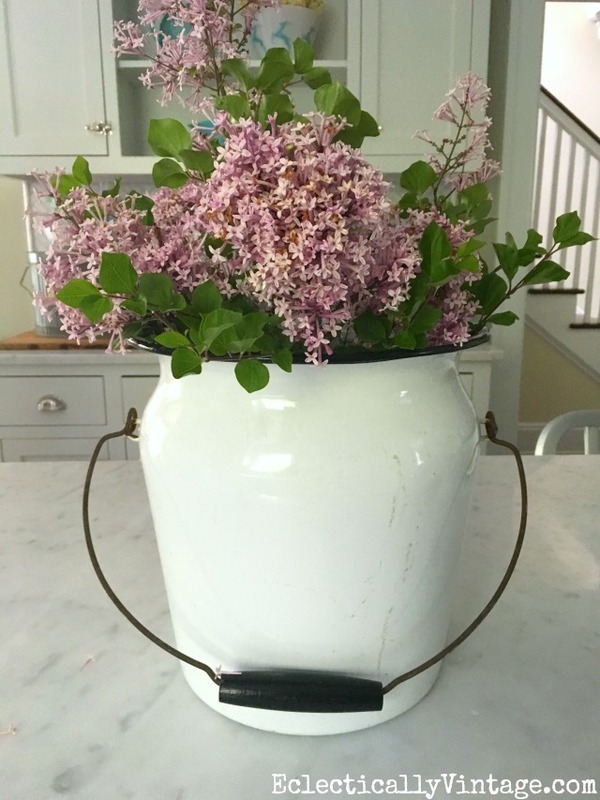 I filled an affiliate giant metal garden tote with these gorgeous blooms – they look amazing in my living room near my summer mantel of old windows and an oyster shell wreath from HomeGoods. 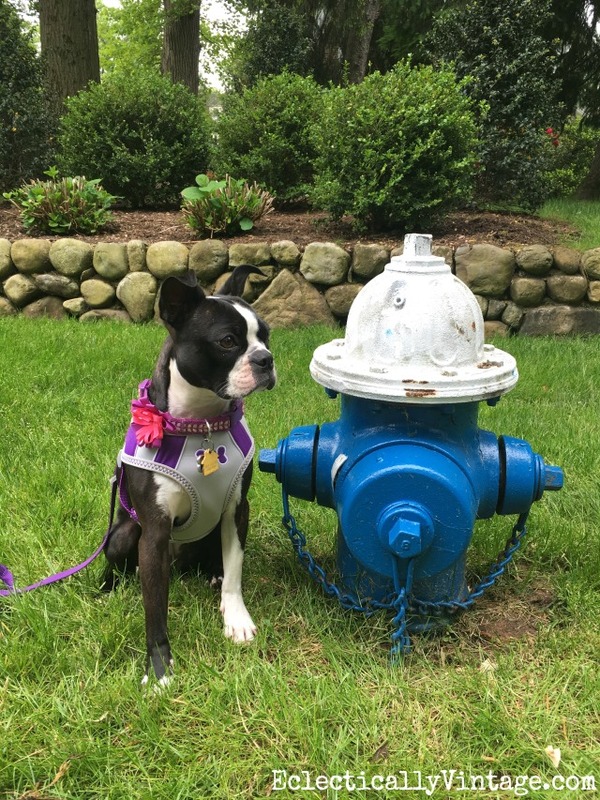 You can also watch a fun peony video I made with my dog Sushi here. May was also about lilacs and their smell is heavenly. 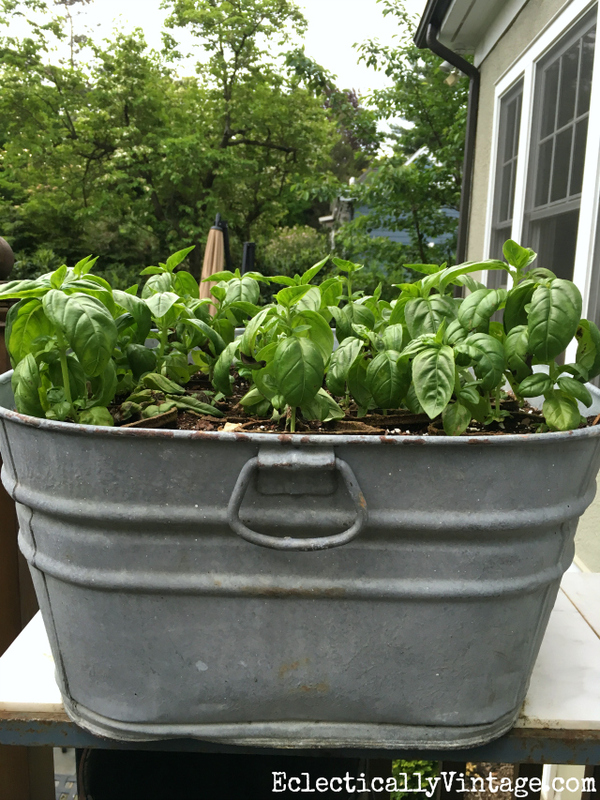 My basil has flourished too. I love making pesto minus the pine nuts since my girls are allergic. 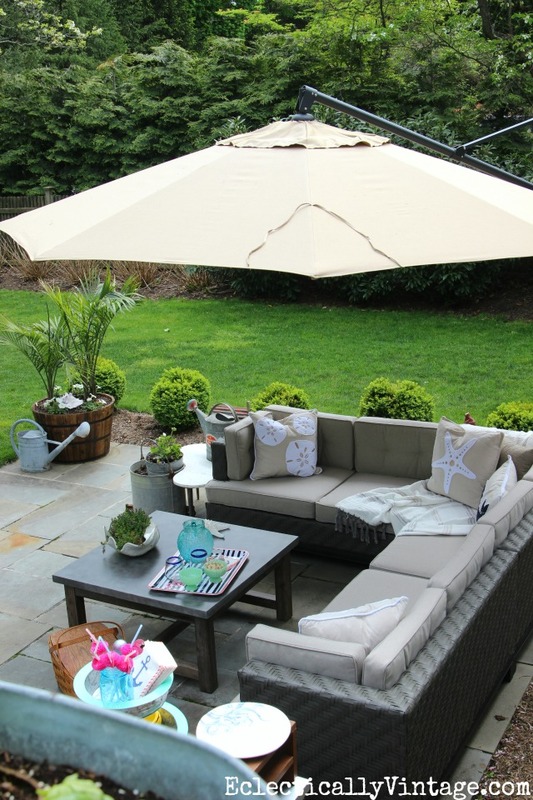 I’m loving my patio makeover and have been spending a lot of time lounging in my backyard. 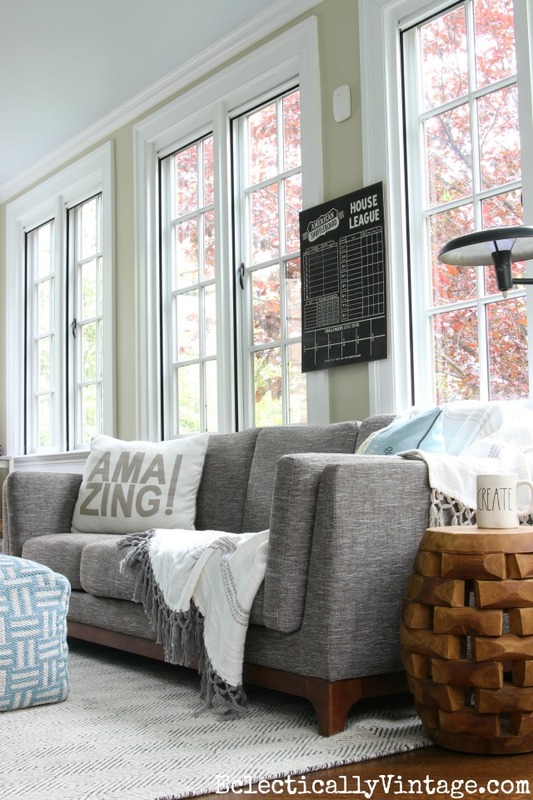 My sunroom got a facelift and I shared my tips on Buying a Sofa Online. 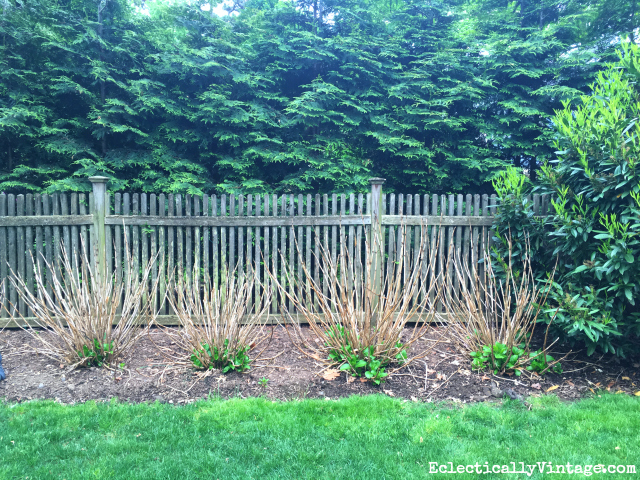 I shed real tears once again when I saw that many of my beloved hydrangeas (all 17 of them) had become a row of dead brown sticks – see how I managed to save them (although I’ll be bloomless this summer). I can’t believe how crazy this post is doing – looks like these dead sticks are rampant on hydrangeas this year! 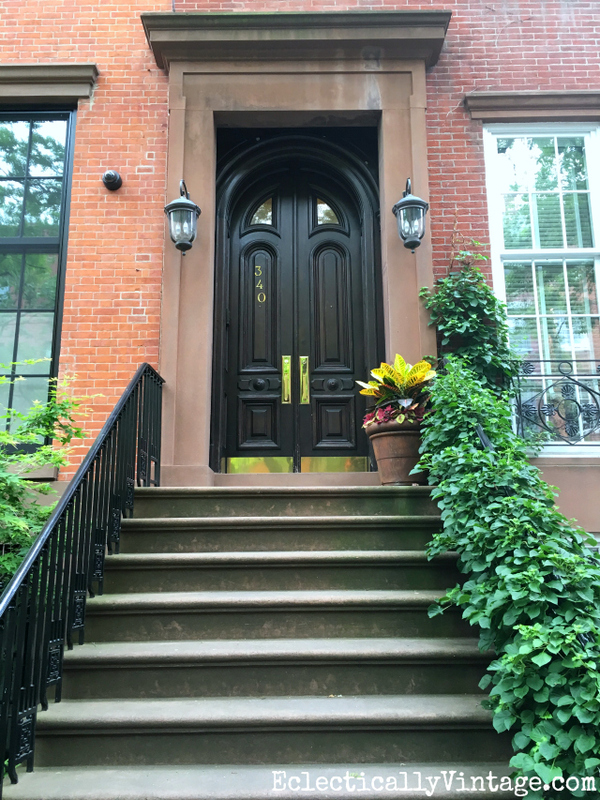 I spent the day in Manhattan and loved this stoop with the ivy covered railing. I am traumatized after witnessing Sushi battle a chipmunk to it’s death! I now scan the yard for innocent woodland creatures before letting her out. I’m paring down (as much as a hoarder like myself can) and getting ready to share my summer home tour on Monday. « Previous: Peonies in Bloom! Oh no! When I was a kid, our dog Rex got skunked! He was so sad, he hung his head in shame because he knew he stunk! We bathed him in tomato juice but he reeked for a long time after! I wish I had a green thumb : ( Can’t wait to see your summer house tour! Give it a try Emily – you can do it! Gee your hydrangea look just like mine. I am afraid to touch the sticks because I did the year before and never got any blooms last year. I finally have some green coming up so I will wait and see what happens. Your Sushi was doing her job – we might not like it – but her job is to protect you. If you have any green on the brown sticks, keep them. If the green leaves are coming from the base of the plant only, and the sticks are completely brown and dead, you might as well cut them because you won’t get blooms either way. My little Sushi does like to protect us – she doesn’t realize she’s a tiny little thing! May sure did fly by….you certainly had a most beautiful month! Thanks Shirley – the months are flying by!